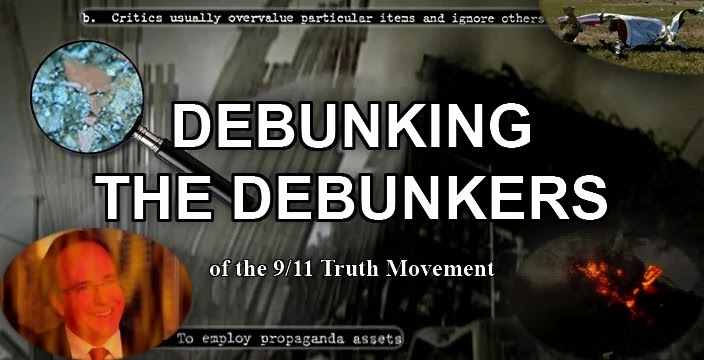 In recent interviews justifying his sudden U-Turn on 9/11, Charlie Veitch has made some incorrect claims about WTC7. He says he spoke to an expert who told him that 25% of WTC7 was scooped out. 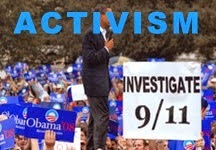 This is an old claim that even NIST have abandoned. The claim was made in Appendix L to their 2004 progress report. This is one diagram from that report. 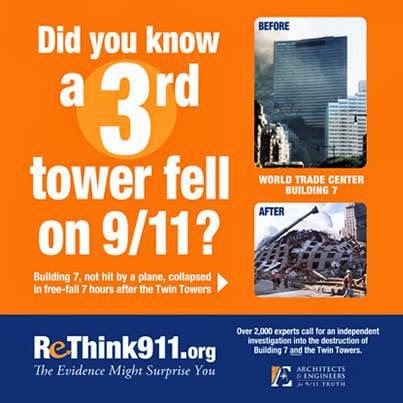 In the 2005 Popular Mechanics article, Shyam Sundar of NIST claimed that "On about a third of the face to the center and to the bottom — approximately 10 stories — about 25 percent of the depth of the building was scooped out". But there was no evidence for this assertion. Davin Coburn of Popular Mechanics claimed to have seen NYPD photos that they were not allowed to release which showed clearly that WTC7 had indeed been 'scooped out'. These photos have now been made public via the IC911Studies FOIA (slideshow below) and none of them show what David Coburn claimed them to show. This was a blatant lie by Popular Mechanics. In their 2008 final report, NIST changed their story. 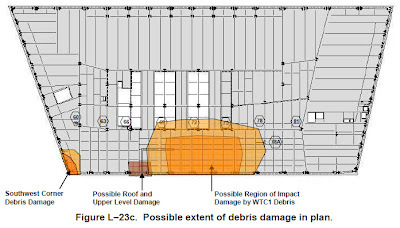 Below is a graphic representation of the south face damage from their final report (NCSTAR 1-9). The debris caused structural damage to the southwest region of the building - severing seven exterior columns - but this structural damage did not initiate the collapse. The fires initiated by the debris, rather than the structural damage that resulted from the impacts, initiated the building's collapse after the fires grew and spread to the northeast region after several hours. It seems the expert Charlie spoke to has not even read the final NIST report. He is parroting an old version of the official story. NIST's final theory - the "thermal expansion" theory - claims that heat from the fires expanded floor beams on floors 12 & 13. These floor beams then pushed against a critical girder, which buckled, causing several floors to fail, resulting in a critical column being unsupported horizontally over a nine story length, and when that buckled it initiated a chain reaction which led to global collapse. When I saw Richard Gage live in Bristol on the 21st of June he said something like "There are so many things wrong with this, but for the sake of time, I will list only twelve!". He then went on a rapid fire tirade simply on why the idea of heated floor beams remaining rigid and pushing against a girder and causing it to fail is ludicrous. What would of happened in reality, and not in the fantsy world of NIST's computer simulations, is the thermal expansion would have been relieved through downward sagging. 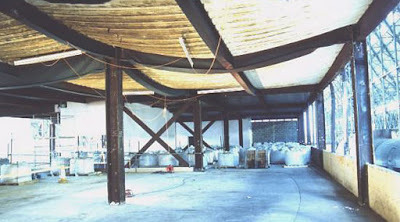 The expanded beams would not have remained rigid. Not only does NIST's theory have no historical precedent, but they didn't even conduct experiments to test the validity of it. But of course, this is not the main problem with NIST's theory, or any fire/damage theory. The main problem is of course the freefall rate, which brings me to Charlie's next point. Which would give you a value for t of about 8.5 seconds. The rate of fall has been halved, but the time has only increased by a couple of seconds. This is because everytime you halve a, you double t². Which means you multiply t by √2 (1.4). So halving the acceleration will yield only a 40% increase in time. 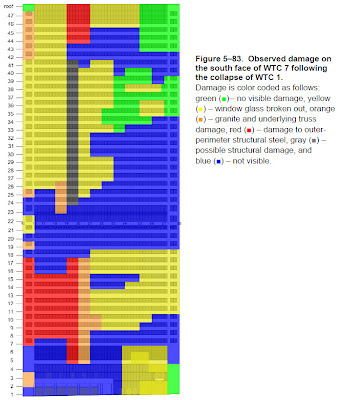 Now if WTC7 had taken 8.5 seconds to collapse, a truther might say "this is only a couple of seconds longer than freefall, this is proof of demolition", and a debunker might respond by saying "8.5 seconds corresponds to an acceleration of half that of freefall, no demolition needed", and the debunker would be correct. But this is assuming the acceleration is constant throughout. In reality the acceleration was not constant. So NIST admitted that for 2.25 seconds, the building fell at an acceleration of 9.8ms-2 - gravitational acceleration - as if eight stories worth of building were just teleported away. This is what we've been saying all along is impossible. Because when an object is falling at freefall acceleration, all of its gravitational potential energy is being converted into energy of motion, which means there is no energy left over to actually collapse the building! It's that simple. It doesn't matter if the period of freefall is only a small fraction of the overall collapse time, freefall acceleration at any moment is impossible. NIST have not explained the 2.25 seconds of freefall, they've simply asserted that it is consistent with their computer model. Their computer model has not been independently reviewed and they haven't even released an animation of the entire collapse. All we have from them therefore is their word. Even if several floors of the outer structure were buckled as depicted above, there would still be plenty of structure to prevent the building from accelerating at free fall. Because in order to crush that buckled structure, it would have to use some of its gravitational potential energy, this would mean that not all the gravitational energy is being converted to kinetic enegy, and therefore freefall would not occur. The only known way to get a building to accelerate downwards at a free fall rate is controlled demolition. In fact, controlled demolitions don't fall in a free fall TIME either - as debunker alienentity demonstrated. However, alienentity's analysis was oversimplified. Again, he just TIMED the demolition. 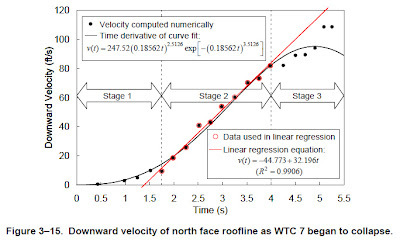 I expect if you were to do a velocity-time graph of the demolition it would have the same characteristic S-shape as WTC7's velocity-time graph above. This S-shape, you could say, is a fingerprint of controlled demolition. As I said before, I'm not disagreeing with Charlie Veitch's assessment of conspiracy theorist psychology. 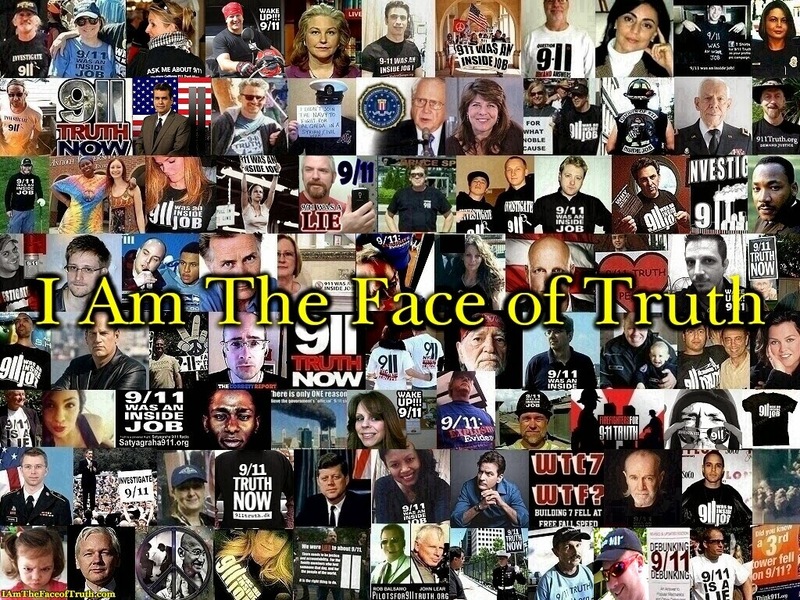 Certainly the average 9/11 truther suffers from a cult-like psychology due to being so emotionally invested in their views. However, I strongly disagree with Charlie's new stance on the controlled demolition stuff and the 'inside job' theory in general. On the plus side though, Charlie's dissention may encourage the conspiracy theorists to research more into the science. This post is for both their benefit and Charlie's. I'll send this article to him, hopefully he'll at least see he's been misled by some old defunct claims which we've addressed ad-nauseum on this very blog. Van The BSer Romero: We Called It!